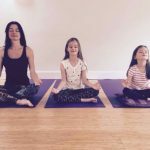 The brainchild of Dru Yoga teacher Rachel Mellish, Stroud Yoga Space embodies yoga, which means ‘union’, in its fullest sense, bringing together a broad range of teachers all with their own styles to teach under one roof. And what a space under that roof! For anyone used to draughty village halls, the two studios, Earth, downstairs, and Sun, upstairs, are a revelation. 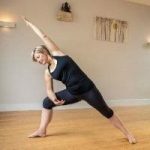 Beautifully calm, they have bamboo floors with underfloor heating, plenty of light and room for 10 to 12 people, which keeps classes nice and intimate. Everything you need is on hand – mats, blocks, blankets, cushions and bolsters – and both studios feel very nurturing. The range of classes is properly impressive, too, drawing as Rachel does from the local teaching talent pool, all of whom are highly qualified. There are up to nine classes a day, seven days a week, and as well as the usual Vinyasa Flow and Pilates sessions, you’ll find Yogalates, a blend of yoga and Pilates, Dru Yoga, a gentle Tai Chi style of yoga, Egyptian Belly Dancing, Pregnancy and Mother and Baby Yoga, Teen Yoga, Family Yoga, Yoga for children with special needs, and a Friday Lunchtime Power Yoga Nap to get you ready for the weekend. And don’t forget about that shop! It stocks the most amaaazing gear. You can read about it here.